Have you ever read the nutritional information on the back of your milk carton? Whether you are a fan of 2% low fat or prefer full cream, milk is an important part of everyone’s diet and is one of the best sources for protein, fat, carbohydrates, vitamins and minerals. But the composition of milk and the balance of those nutritional values is a carefully controlled process. When milk is produced, it needs to undergo milk analysis to ensure that it is of a high quality before being bottled and sold. After milk farming became commercialised in the mid-19th century, there arose a greater need to ensure the consistent quality of milk. The steps towards higher control of milk quality began with pasteurisation in the 1880s, and the call for sealed packaging around the same time. The iconic glass milk bottle was introduced after it was noticed that milk carried in open buckets or vats was at a higher risk of contamination. Louis Pasteur’s pasteurisation process revolutionised the safety of milk by destroying bacteria in milk without affecting its flavour or integrity, and made milk storage and transport more viable. You may also notice on your milk carton displays that it has been through homogenisation and UHT processes; these help increase the shelf life and reduce the level of bacteria in your long-life milk. Today, the milk industry uses advanced technological processes to ensure the quality of milk on an even smaller scale. The exact composition of milk is tested in bulk as a raw material, and screened through standardisation processes until a final product meets the desirable level of quality. There are a number of processes and methods to analyse milk through ultrasound, infrared and other techniques, each with its own benefits and advantages. Milk analysis is vital for large industrial and commercial milk factories as well as small-scale local dairy farms. An analysis is an efficient way to validate that the milk produced is uncontaminated and of high quality. 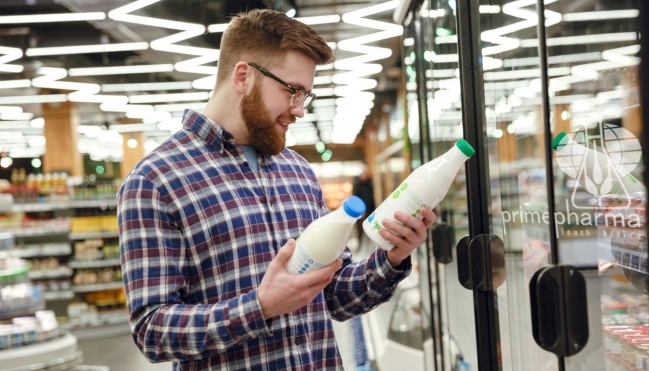 People are becoming more concerned over their dietary habits and daily nutrient intake, and displaying the nutritional values of different milk products on their packaging has become not only useful, but legally required.